We are a team of qualified dentists and we are proud to be able to provide all our clients with a wide range of medical services in our area of expertise. Odontology is the method by which the broken crowns are repaired. Our dentists are experts in repairing broken crowns and bridges and therefore only use physiognomic materials from the nanocomposites group for filling carious cavities. We also know that different denture areas require different types of materials and care, therefore we treat differently the frontal teeth from the jaw teeth. The frontal area is important from the esthetic point of view and requires the use of special improved composite materials, whereas the posterior area is the one permanently exposed to masticatory forces and therefore our dentists will use composite materials resistant to abrasion and fracture. By treating each area in order to be prepared for its future use, we make sure these works will last longer and serve you better. Dental prosthetics is a separate dental area in charge with the restoration of the dentomaxilar functions through the artificial reconstruction of the natural denture and is used in case of partial or total deterioration of it. Prosthetics considers the reconstruction of the denture both as aspect and as functionality. Prosthetics vary from simple dental crowns and bridges, to solutions with great aesthetic value, and even complex dental implant rehabilitation. A beautiful, white and well maintained denture can become the premise of successful relationships. Modern stomatology, through cosmetic dentistry, can improve the aspect of one’s mouth by changing the teeth color, shape, size and position and intervening even in regards to the quantity, quality and form of the gums. Cosmetic dentistry is basically an amount of investments, after which they can achieve a perfect appearance and functionality denture. The most important of cosmetic dentistry procedures are teeth whitening, dental veneers, aesthetic, light-curing fillings and ceramic crowns. Implantology is a surgical specialty that has the purpose of safely replacing missing or damaged teeth and that allows the patient to opt for fix prostheses with an optimum functional and esthetic value through low level invasive procedures. Basically the dentist will introduce inside the bone a special screw with particular design, strength and chemical characteristics (titanium implant, 100%biocompatible material) that imitates the natural teeth roots. For any question regarding implant procedures and other information please contact our dental specialists. Orthodontics is a specialty of dentistry which handles the diagnosis, prevention and treatment of dental and maxillary anomalies. Orthodontics deals with straightening teeth position, adjustment of the occlusion (bite) and reports of upper dental arch (maxillary) and lower (mandible) and also controls the growth and harmonious development of the jaw bones. For all these it relies on dental braces, fixed or mobile, visible or invisible that produce controlled movement of the teeth and skeletal structure changes (facial bones) and tissues that support the teeth (gums and alveolar bone) by exerting pressure on the teeth and jaws. Endodontics is a branch of dentistry that deals with the treatment of conditions inside the tooth, specifically with diseases of the dental pulp (the soft tissue inside the tooth). When this tissue surrounding the root tip is damaged due to decay or trauma, the endodontic treatment can save the tooth. Therefore we are referring to an ambulatory dental intervention necessary when the pulp is inflamed or infected due to a deep or large decay because of previous interventions applied to the tooth, or trauma (sudden and severe or easier, but that happened repeatedly) which caused superficial or deep chipping of the tooth surface. · applying fluorine and sealing teeth. · applying an appropriate high quality treatment for existing conditions. Our team of dentists can perform basic oral and maxillofacial surgery for our patients. His particular type of dental area handles extraction of hopeless teeth, but also saves teeth that cannot otherwise be recovered, removal of various chronic infections, cysts, growths of soft tissue, tooth extraction or anchoring included teeth, all in complete safety and sterility maneuvers. Periodontics is a branch of dentistry that studies the periodontal tissues and associated diseases. The periodontium consists of gum, alveolar bone, cementum (the tissue that covers the root of the tooth) and periodontal ligament. Therefore this area deals both with the soft tissues and the harsh surrounding of the tooth and alveolar arch that ensures stability when the tooth is healthy. These are called periodontitis, gum disease, caused mainly by bacteria in the unit that secures the tooth in the bone. Bacteria produce toxins and acids that attack both the teeth and the gums. In the worst case scenarios, periodontitis leads to gum recession, destruction of the periodontal ligament that connects the tooth to the bone and also teeth loss. Dental prophylaxis or prevention of dental therapy we understand all therapies for preventing dental disease or avoiding the complications, when these diseases already exist. Prevention means knowing all the appropriate rules and means for a good oral hygiene, and also awareness of the importance of regular visits to the dentist in order to detect any problems that may worsen and be more difficult to treat, endangering the entire denture. Retroalveolar radiology is very important when diagnosing a dental disease and establishing the right treatment. One of the reasons why we think it is absolutely necessary to have radiology equipment is because it often provides prompt control of the accuracy of dental manipulations requiring that exact thing. This is mandatory because the x-Ray will allow any possible instant corrections until things get delayed and stranded. The latest equipment used by our dental tourism clinics ensures a 93% lower level of radiations in comparison to the film technology. 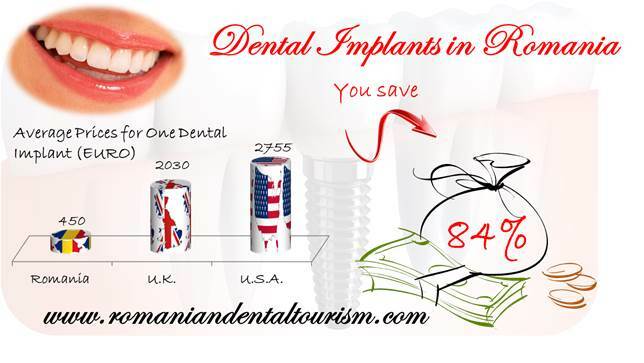 For more information on each particular type of service we welcome any client to contact our Romanian dentists for more information and a personalized consultation. We make it our mission to elaborate a complete solution consisting of a package of services that will solve all dental problems for our clients. Each one requesting our help can rest assured he will be offered a personalized treatment plan and our dentists explain to him the entire procedure and workflow required for that particular work. Just as Romania is a perfect destination for dental tourism, Turkey is a great choice for hair transplant services. 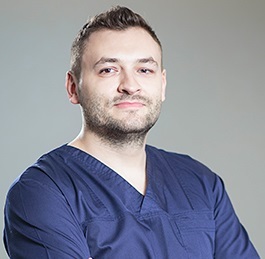 Therefore, if you need this type of service, we are more than happy to put you in touch with our Turkish partners which are specialists in hair transplant procedures. I need root canal surgery. Can you help me with it? Thank you.